If you live in the WF8, WF9 or Pontefract areas and are looking for a multi fuel stove you have probably just come to the right place. 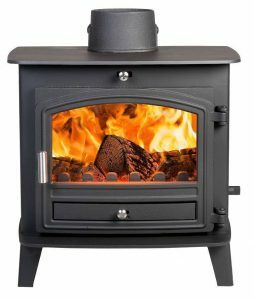 The Leeds Stove Centre is now becoming the leading supplier of multi fuel stoves in the Pontefract area. We are located only 35 minutes drive away from Pontefract in Stanningley, Leeds, where we have a recently upgraded showroom with a number of live working displays allowing you to see how a stove would look in your home. The Leeds Stove Centre has been in the fireplace industry for over 25 years both as a retailer and a supplier to the trade. Our team of retail staff are very well informed about all our products and always more than happy to give you any advice that you may need. We believe that you will be sure to find a suitable stove for your home here at the Leeds Stove Centre. We pride ourselves on having a great choice of designs from trustworthy stove manufacturers such as Stovax, Hunter, Yeoman, Dik Guerts, Esse and Burley. We provide a supreme customer service with regards to all aspects of your purchase and installation and the testimonials section of our website demonstrates our standard of working practice. Confirmation can also be found on social media, ie Facebook and also on Google Plus. We employ our own installation teams of which all are HETAS registered and some are also Gas Safe registered. This means we can offer a full service from the removal of the existing fireplace to the creation of the chamber and installation of the stove and flue liner or twinwall system. Why not call us on 0113 255 5622 to arrange a free installation survey. For more details on any of our products or for installing your multi fuel stove in your Pontefract home please contact us.